Twickenham, France vs England, Rugby game, 1974. At half time Australian Michael O’Brien became the first English streaker when he raced across the pitch in front of the queen for a £10 bet. 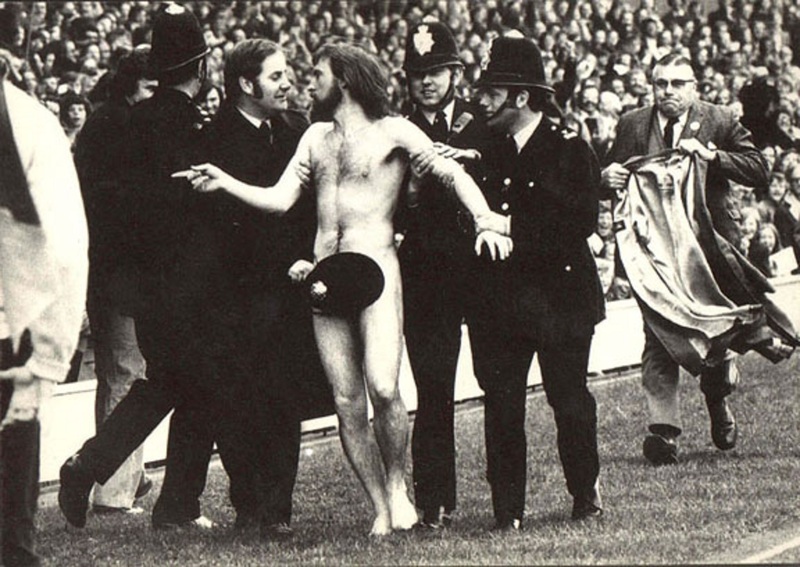 Ian Bradshaw was the only photographer at the end of the pitch where the police arrested O’Brien who was subsequently fined £10 by the local magistrate. 32 years later, in 2006, the bobby gave to to the Australian guy, a current businessman, his helmet as a gift.